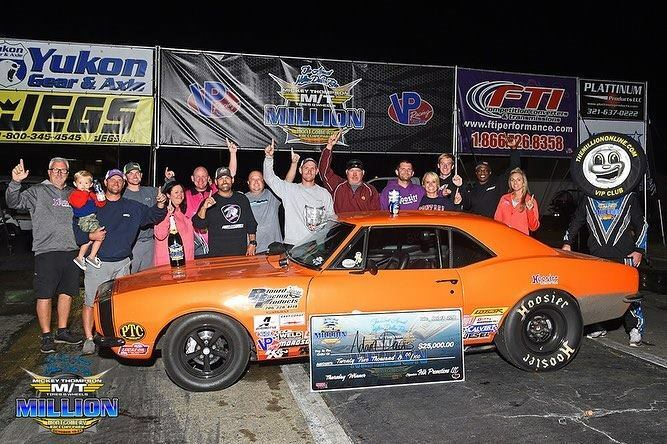 Underwood scores 2nd Million Dollar Victory. Gulitti continues "hot streak" with Runner-Up at the Big Show. Adam Davis, Allen Wickell and Tom Dauber all collect $25k Big Checks. 600 plus entries over the course of the weekend made it to the Big Show for 2018. 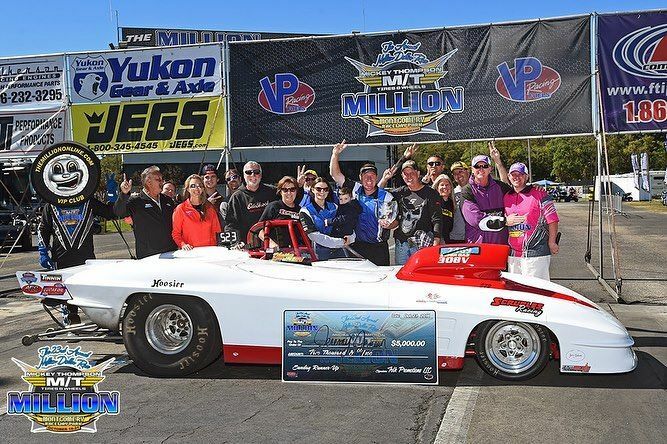 Saturday's traditional MILLION was moved to Sunday due to overnight weather on Friday forcing a very late start in which Folk promotions saw it best to conduct the event on a day when it could be completed within the day and saw 299 entries take to the track on Sunday to compete for the $275,000 top prize at the 23rd annual race. Kenny Underwood who previously won the coveted event in 2013 repeated and showed why he is one of the most talented Top Bulb Bracket Racers in the country. 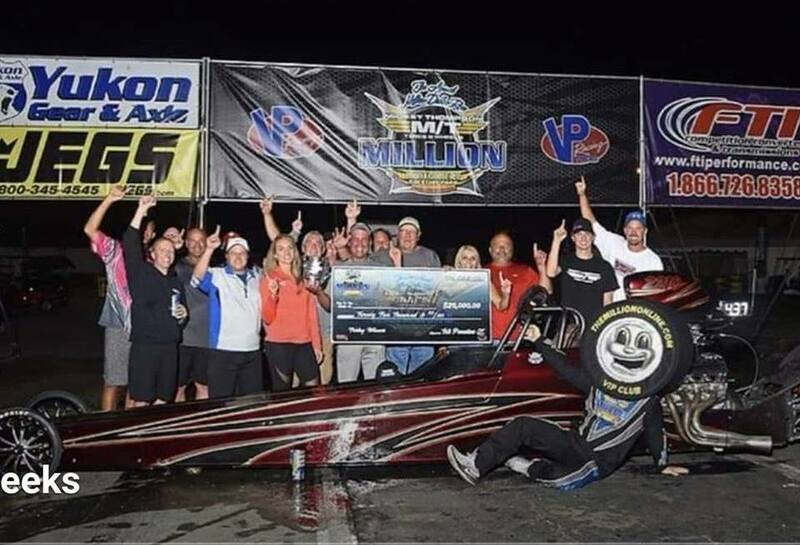 Only Gary Williams has won the "original" MILLION more than once prior. 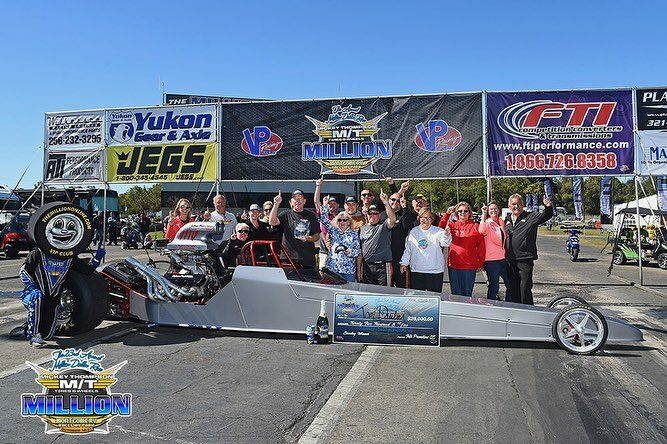 Underwood from Delaware, Ohio squared off with Spring, Texas racer Cory Gulitti in the final of the "Big Show" with a dual of dragsters. 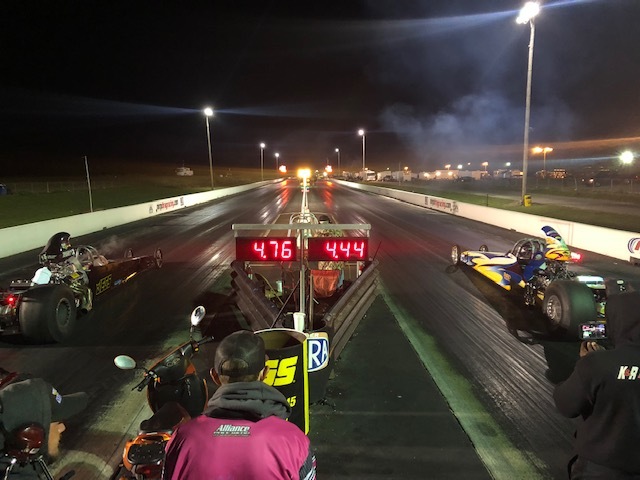 Gulitti came in with lane choice off his .000 bulb a round earlier when he defeated Radell Reid in the semi final match up. Underwood defeated Chuck Flanagan out of Lima, Ohio in his gorgeous blue Pontiac. 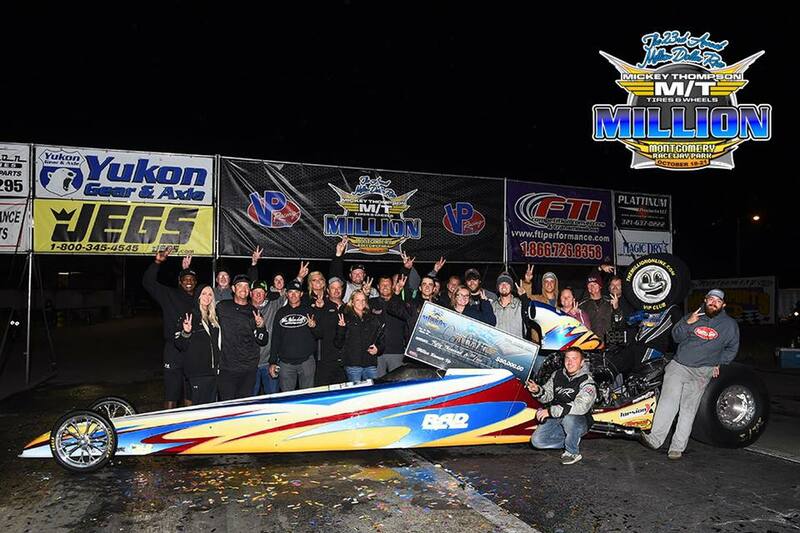 Thursday kicked off the $25,000 Weekend events at the MILLION and saw talented bottom bulb'r Adam Davis from Alabama defeat good friend and fellow Alabama racer Nick Ross. 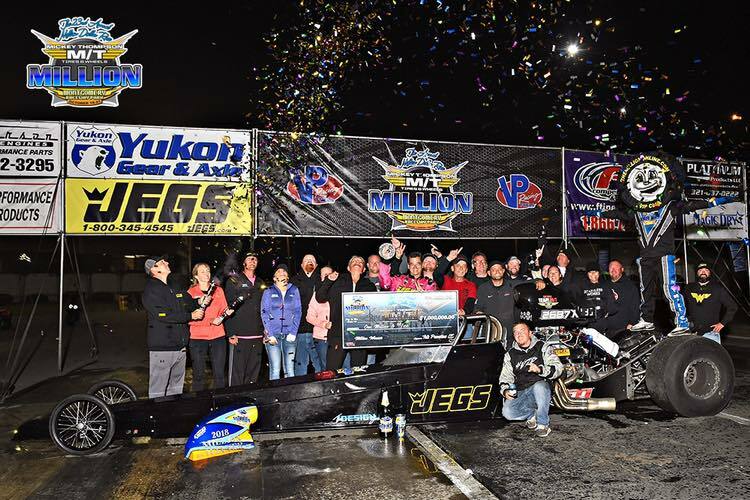 Friday saw the 2nd of the $25,000 races and yet another Alabama racer and the talented Allen Wickell in his 4.3x dragster defeat all around good guy and everyone's favorite Canadian Jamie Bridge in the late night final. 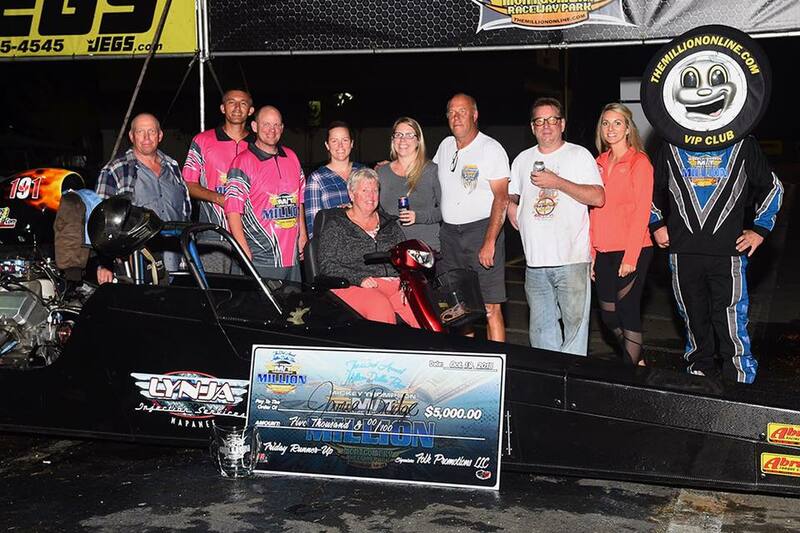 Sunday's $25,000 race was actually started on Saturday night in place of the MILLION due to early morning weather and was completed on it's day Sunday morning during MILLION time trials. 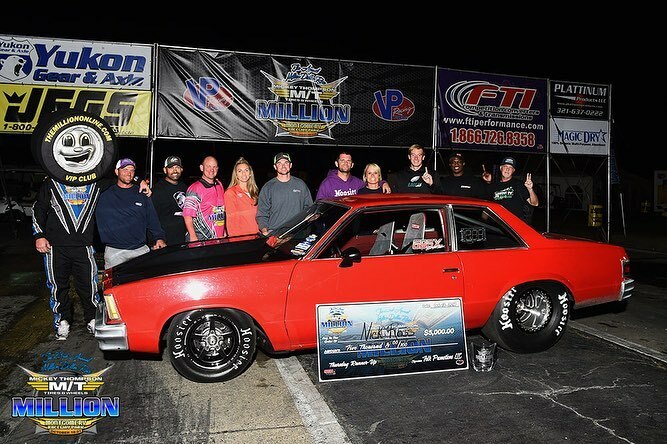 The "Red Rocket" Tom Dauber who hails from New York laid down a .001 package to eliminate any chance Tennessee native Jeremy Jensen may of had in the other lane.